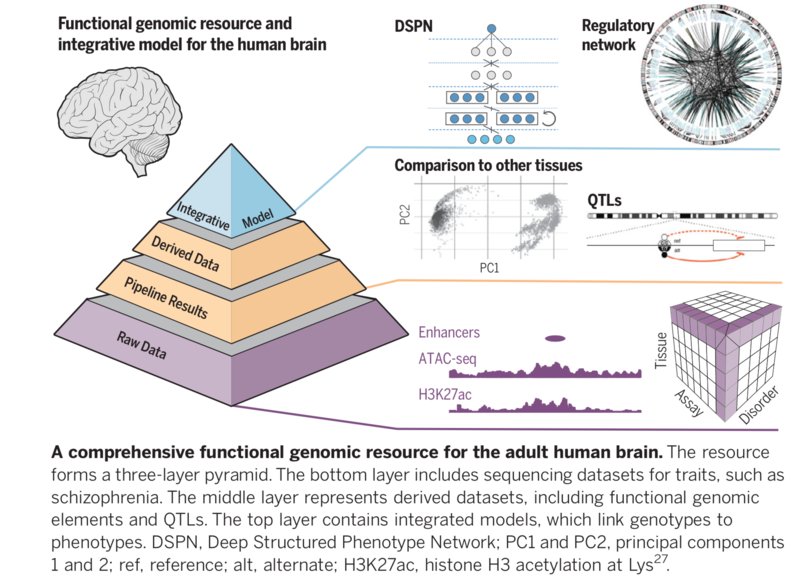 Draft of introduction as of 28-Nov.
Li et al, aat7615, Integrative Functional Genomic Analysis of Human Brain Development and Neuropsychiatric Risk. Wang et al, aat8464, Comprehensive functional genomic resource and integrative model for the human brain. Zhu et al, aat8077, Spatiotemporal transcriptomic divergence across human and macaque brain development. Amiri et al, aat6720, Transcriptome and epigenome landscape of human cortical development modeled in brain organoids. Rajarajan et al, aat4311, Neuron-specific Signatures in the Chromosomal Connectome Associated with Schizophrenia Risk. An et al, aat6576, Genome-wide de novo risk score implicates promoter variation in autism spectrum disorder.